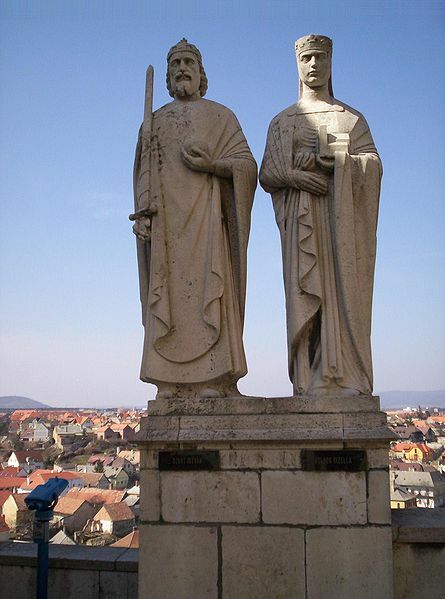 Statue of King Stephen I and Queen Gisela in Veszprém. First King of Hungary, b. at Gran, 975; d. 15 August, 1038. He was a son of the Hungarian chief Géza and was baptized, together with his father, by Archbishop St. Adalbert of Prague in 985, on which occasion he changed his heathen name Vaik (Vojk) into Stephen. In 995 he married Gisela, a sister of Duke Henry of Bavaria, the future Emperor St. Henry II, and in 997 succeeded to the throne of Hungary. “Surely, according to the apostle : ‘ It is not of him that willeth nor of him that runneth, but of God that showeth mercy’ [Rom. 9 :16] ; and according to the testimony of Daniel : ‘He changeth the times and the seasons; he removeth kings and setteth up kings; he revealeth the deep and secret things; he knoweth what is in the darkness’ [Dan. 2:21, 22]; for in him is that light which, as John teaches, ‘lighteth every man that cometh into the world’ [John 1 :9]. “Therefore we first give thanks to God the Father, and to our Lord Jesus Christ, because he has found in our time another David, and has again raised up a man after his own heart to feed his people Israel, that is, the chosen race of the Hungarians. Secondly, we praise you for your piety toward God and for your reverence for this apostolic see, over which, not by our own merits, but by the mercy of God, we now preside. Finally, we commend the liberality you have shown in offering to St. Peter yourself and your people and your kingdom and possessions by the same ambassadors and letters. “For by this deed you have clearly demonstrated that you already are what you have asked us to declare you [i.e., a king]. But enough of this; it is not necessary to commend him whom God himself has commended and whose deeds openly proclaim to be worthy of all commendation. “Now therefore, glorious son, by the authority of omnipotent God and of St. Peter, the prince of apostles, we freely grant, concede, and bestow, with our apostolic benediction, all that you have sought from us and from the apostolic see; namely, the royal crown and name, the creation of the metropolitanate of Gran, and of the other bishoprics. Moreover, we receive under the protection of the holy church the kingdom which you have surrendered to St. Peter, together with yourself and your people, the Hungarian nation; and we now give it back to you and to your heirs and successors to be held, possessed, ruled, and governed. 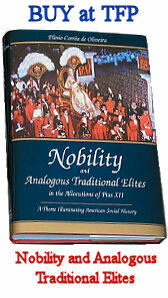 And your heirs and successors, who shall have been legally elected by the nobles, shall duly offer obedience and reverence to us and to our successors in their own persons or by ambassadors, and shall confess themselves the subjects of the Roman church, who does not hold her subjects as slaves, but receives them all as children. They shall persevere in the catholic faith and the religion of our Lord and Saviour Jesus Christ, and strive always to promote it. 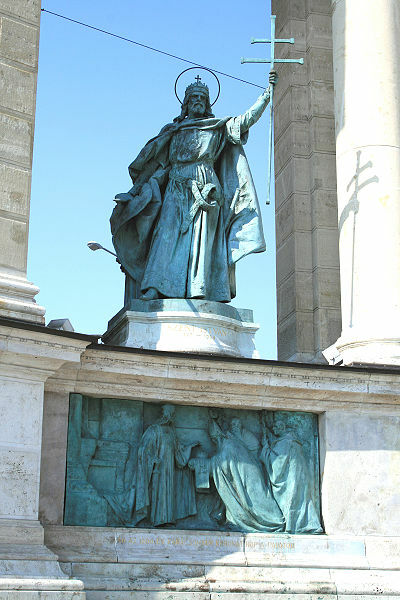 Statue of Stephen I of Hungary - Stephen I of Hungary, Millenium Monument on Heroes' square, Budapest, Hungary. 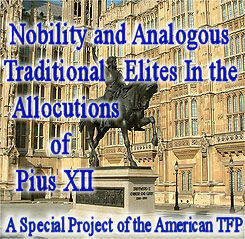 “And because you have fulfilled the office of the apostles in preaching Christ and propagating his faith, and have tried to do in your realm the work of us and of our clergy, and because you have honored the same prince of apostles above all others, therefore by this privilege we grant you and your successors, who shall have been legally elected and approved by the apostolic see, the right to have the cross borne before you as a sign of apostleship, after you have been crowned with the crown which we send and according to the ceremony which we have committed to your ambassadors. And we likewise give you full power by our apostolic authority to control and manage all the churches of your realm, both present and future, as divine grace may guide you, as representing us and our successors. 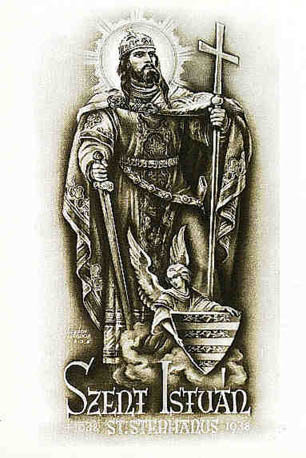 St. Stephen I of Hungary in Makó, Hungary. Stephen founded a monastery in Jerusalem and hospices for pilgrims at Rome, Ravenna, and Constantinople. He was a personal friend of St. Bruno of Querfurt and corresponded with Abbot St. Odilo of Cluny. 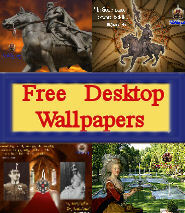 The last years of his life were embittered by sickness and family troubles. When on 2 September, 1031, his only son, St. Emeric, lost his life on a bear hunt, his cherished hope of transferring the reins of government into the hands of a pious Christian prince were shattered. 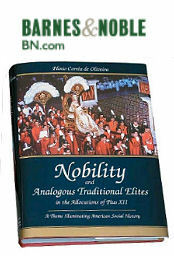 During his lifetime a quarrel arose among his various nephews concerning the right of succession, and some of them even took part in a conspiracy against his life. He was buried beside his son at Stuhlweissenburg, and both were canonized together in 1083. 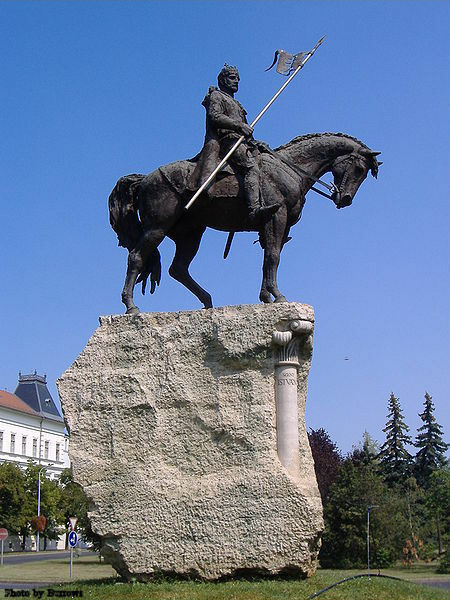 In Hungary his chief festival is observed on 20 August, the day on which his relics were transferred to Buda. His incorrupt right hand is treasured as the most sacred relic in Hungary. L. The Incorrupt hand of St. Stephen of Hungary. 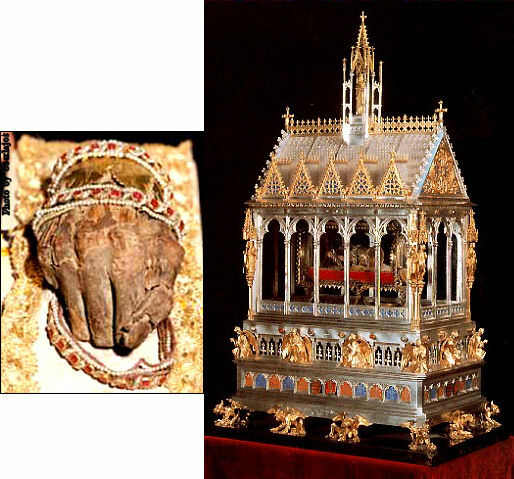 R. The Reliquary that holds the Incorrupt hand (also called "The Holy Right") of St. Stephen I of Hungary.